A stoneware box of circular form, supported on a short, splayed foot. The straight sides taper towards the slightly domed cover. The top is deeply carved with a central design of a phoenix flying among flowers. The phoenix is depicted in detail with a pointed beak, spread wings and a bushy tail. 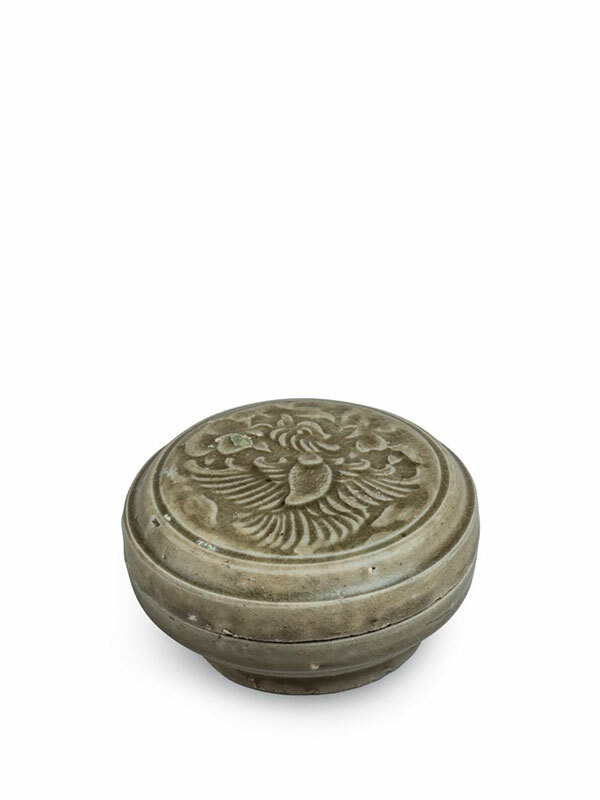 Both the interior and the exterior of the box are entirely covered in a translucent green glaze, which pools to a slightly darker tint in the recesses, leaving only the rims unglazed and revealing the greyish stoneware body. The base has clusters of kiln grit adhering.